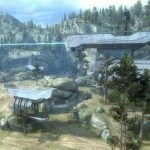 Unless you have been under a rock somewhere, or are one of the few who still don’t have Xbox LIVE then you probably know by now that the newest map pack for Halo: Reach has been released. The Defiant Map Pack released on March 15 for 800 Ms points and added 3 new achievements. It’s the second DLC that Halo: Reach has received since it’s launch in September. These are the first maps that we have seen, or for that matter the first content that we have seen in Reach that was handled mostly by 343 Industries as well as Certain Affinity. 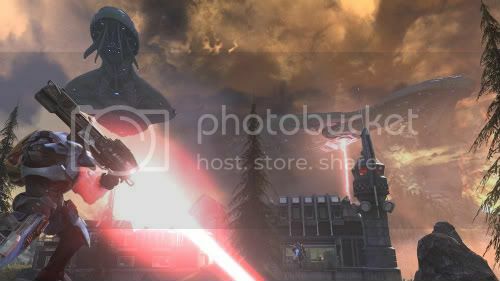 Of course, they will be taking over the franchise as Bungie has made their way out. So this maps could very much be a preview of where the Halo franchise is heading. Condemned: An orbital space station that has took heavy damage while Reach was being invaded. 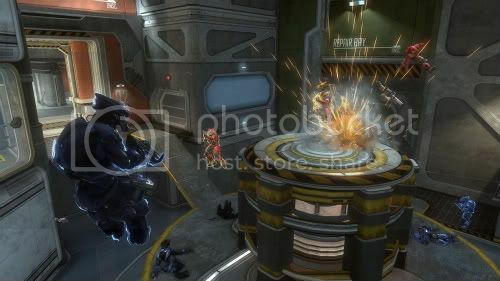 The map supports 6-12 players and several game types including Team Slayer, Team Objective and Free for All. This map is very much a fast paced map, while at the same time being a decently large map in scale and size. It also does a good job of keeping you moving and always looking over your shoulder. 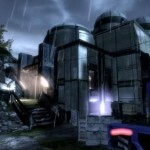 When I played this map it really reminded me of playing Orbital on Halo 3. I particularly had fun playing CTF on this map. It seems like a perfect hybrid of space/distance/weapons. There are some highlights that stick out in my mind as well. Things like the massive windows all over the map that shows you the insanely awesome space fight that is happening right outside the window. Or maybe the zero G room where there is no soft kill, just get there and fight. Good: The map has really good weapon placement which is really rare to say on reach, considering most of the weapon placement on out of the box maps was pretty bad. The structure of the map itself is great it allows you to take multiple paths to get through the map and always allow to see what’s happening around you. Bad: As cool as it may seem the zero G room loses it’s appeal after about 3 matches. You come to find that most of the fighting will come to center around that room. Maybe fun for Slayer games, but a bad idea for objective games. Highlands: A training preserve on Reach is what makes up the environment of this map. This map will support 8 to 16 players and supports multiple game types like Big Team Slayer and Team Objective. When I first played this map in local play, I thought that it would be awesome for BTB. Little did I know that when it hit the playlist that Team Objective games like Flag and Stockpile would be the funnest way to tackle Highlands. Not to say that BTB is not fun on the map, but due to some poor weapon placement Vs. spawn points it can make BTB boring as one team will stay perched on their spawn. Not saying it can’t be dealt with, but like Sword Base you will find the action stays near one corner of the map and does not utilize the whole map. This is upsetting on this map because it’s really just a large well laid out map that could be used in many great ways and could implore great strategics if people would use the whole map. 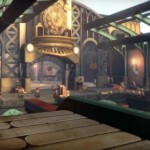 Good: The map gives you huge spaces to play in and several types of weapons to make it great. There are also vehicles on the map that will make attacking your fellow players a blast. Once again the structure of the map is really new and fits well with how the map was meant to be played. Bad: Odd weapon placement makes for odd encounters that lead to losing if not not in the right place at the right time. The map is huge, but sadly due to primary Red and Blue spawn points most of the time the battle will stay in one location. 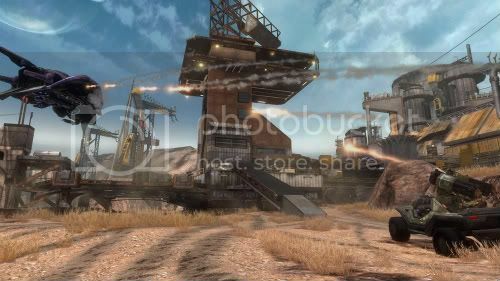 Unearthed (Firefight Map): The setting for this map is a Titanium mine that puts me in mind or Reserve from Halo 3: ODST. When I first heard of the map pack I was a little worried about only 2 MP maps and a Firefight map. To be honest though this map has quickly became my favorite Firefight map. It’s just the right size to have a good time without the matches lasting a long amount of time. 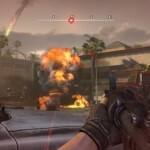 It also has good weapon placement and the vehicles being there from the start of standard Firefight is a good thing. With 1 players or 4 it’s still a blast and plenty for everyone to do. Good: Being a medium size map with a very open area to play makes for combat to vary and be exciting from any point on the map. A good selection of vehicles on the map from the start a plenty of area to use them in. Bad: Not a whole lot of anything. This map is very well laid out and to be a Firefight map, it would certainly fit in as a MP map if it ever had to serve the cause. All in all this map pack is the best one so far. It feels nice to look at the environments and know that you are playing Reach, but to also see new things in these maps that we have not seen on any other map to date. The background on Condemned and Highlands are absolutely beautiful and are really kind of hard to stop staring at. With 343 and Certain Infinity there does not seem to be any lack of effort or dedication in making these maps. If this is a preview of the future of the Halo franchise, then it’s good to see that the future has good things in store. I like how you looked at each map individually, instead of just an overview of the package as a whole. I love the achievements that pop at the bottom of the screen! I hope I can win! Thanks for the cool contest!!! Great review, great site, and a great contest! Thank you for the opportunity! This might be the best looking maps I’ve seen. Really want to get these maps. Love that feeling of discovering the new areas and stuff. Halo getting even better? Is that possible? Contest is over thanks for all the entries. Glad to see all these comments, makes me want to give more to you guys.